Today is Tuesday. I get up and go to work. This Tuesday is the same as every Tuesday. After a few Tuesday’s we get the hang of the work we do. We get familiar. And after the familiar comes the routine and ultimately the boring. Is this how you want your job to be, routine and ultimately boring? I know I don’t! As a Scrum Master, I want to be able to bring to my teams a fresh perspective. As Peter Hilton said: as Scrum Masters, we need to go out, get new ideas and help the team experiment and learn new ways. New ways of working that help us get to our goals, both personal as well as business. To help me stay fresh I started working on a workshop that I call: 50 tools for Scrum Masters. A mini library that can help us liven up our work, try new ideas, and get ready more effectively for the tough job we have ahead. 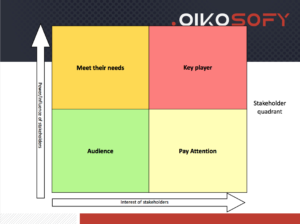 A stakeholder map is a way to visualize the different stakeholders we need to interact with and keep an eye on a possible missed conversation or expectation management. Stakeholders can positively or negatively influence the outcome of our work, and ultimately affect what the teams can deliver. Therefore we should keep close attention to the relationships we and the team have with these stakeholders. A simple technique that I often use is to sit together with the team and their direct management group (could be 1 or more line managers), and list the people we need to interact with on a daily, weekly and monthly timeframe. Audience: Audience are stakeholders that we want to keep informed, but don’t necessarily want to involve in our decisions. In some companies this means keeping an up-to-date development blog that the Audience members can follow, or regularly pushing updates via email broadcasts. Moving motivators is a tool we can use in retrospectives or, in general, to help understand deeper motivation issues in our team. We can also use this tool to design how we work and adapt our approach to the team members we work with when joining a new team. As an example, Scrum Masters can use Moving Motivators in their first 1-on-1 with the team members, so as to understand what moves that person and adapt our style to their intrinsic motivators. Conflict is a reality of work life, especially when we work with highly motivated individuals. We all want to give our best, and in that process, we sometimes forget that collaboration is the core process for us to be productive when working with others. Conflict is not necessarily a bad thing though! And we need to learn how to recognize it (a topic for another post) and harness the energy that comes from the conflict in order to help the teams grow and move forward. “Crucial Conversations” is a great tool that helps us explore the causes of conflict, and ultimately create a positive, constructive atmosphere that can help us focus on the solutions we want to put in practice, rather than the original disagreements that generated the conflict. Notice When Safety Is at Risk: Simple techniques like a time-out; silent writing; or other techniques can help remove the lack of safety by giving people time, and a process, or structure to express their views. Make It Safe to Talk about Almost Anything: We are safe to talk when we don’t feel that everything we say can be used against us, or if we are allowed to express our views without being constantly interrupted. Preparing a facilitation agenda for a crucial conversation can help you avoid these common pitfalls. For example, you can set the rules for the conversation and have everybody agree with them at the start of the conversation (or refuse to have the conversation in the first place until that is possible); or you can allow everyone a time to express their view before the discussion starts. Stay in Dialogue When You’re Angry, Scared, or Hurt: help the people involved in the conversation express their feelings (e.g. I’m angry), but turn your attention quickly to what is the reason behind that anger, rather than the feeling itself. Maybe a colleague felt disrespected (a common misunderstanding in work life), or they are scared they could lose their job or a coveted promotion (another common misunderstanding in work life). Tackle the feelings without judgement. Listen to this BONUS episode on NVC, Non-violent communication to learn more about how to help emotions emerge without causing even larger conflict. Speak Persuasively, Not Abrasively: A simple technique to achieve this is to invite the parties in the conflict to express the benefits that they seek, rather than the solution they are advocating. Often we agree on the benefits, but we are stuck on the solution details and forget that agreeing on benefits can quickly dissolve the conflict. Listen When Others Blow Up or Clam Up: Create a rule that allows people to blow up or clam up in a safe way. For example, have a second room where you can step into with one of the parties. Listen to their concerns if they can’t talk in front of the other party in the conflict, or allowing them to vent before returning to the meeting room where the conversation is taking place. If you are part of the conflict, accept that others may clam up or blow up. Don’t take it personally, return the conversation to the common base you are building on: the benefit all parties want to achieve. Turn Crucial Conversations into Action and Results: At the end of the conversation, write down what the agreement was. Get all parties to read and change the agreement, and when all are in agreement arrange for the documented agreement to be made available to all the interested parties. So that we can always refer to that agreement later on. An especially important part of this agreement is that it should set out the short-term actions on all parties, as well as the next time when the agreement will be reviewed, using Crucial Conversations – of course. The Story Map workshop (see here a Story Map facilitation guide by Oikosofy), is a structured collaboration space that helps the team and the stakeholders agree on the scope of one (or more) product release(s). It helps us consider the scope of the product in the context of the whole product use (not just one User Story), and it also helps with slicing the releases over time. From defining an MVP (Minimum Viable Product), to a roadmap of releases over time. Popcorn Flow is a visualisation and conversation tool that helps teams go from an idea (a fuzzy understanding of a problem or question) to a solution through a series of evolutionary steps. In this method, Claudio Perrone tries to structure the experimentation steps that all teams should go through when trying to tackle bigger problems such as: large impact bugs being found in production, market-solution fit, technical decisions, etc. 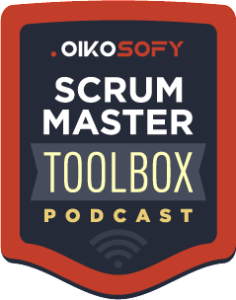 In the workshop 50 Tools for Scrum Masters, we explore 50 different tools that we can use to improve our effectiveness as Scrum Masters as well as the performance of the teams we work with. However, the tools as just the start. Tools help us along the way as we develop further our understanding of Scrum, teams, team dynamics, organization and much more. In the end, these tools are vehicles, that help us explore the systems that we work with: the teams, individuals, and organizations. As we start our journey as Scrum Masters tools give us the direction as well as the motivation to continue our learning journey, however, we must go beyond that and work together with other Scrum Masters to learn from their mistakes and turn those into even more too. 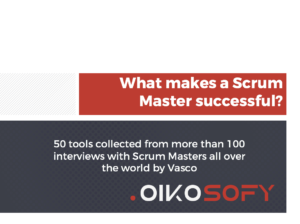 This topic was presented on a live webinar, if you did not join that event you can still download the full PDF handout for the 5 out of 50 Tools all Scrum Masters should be familiar with.